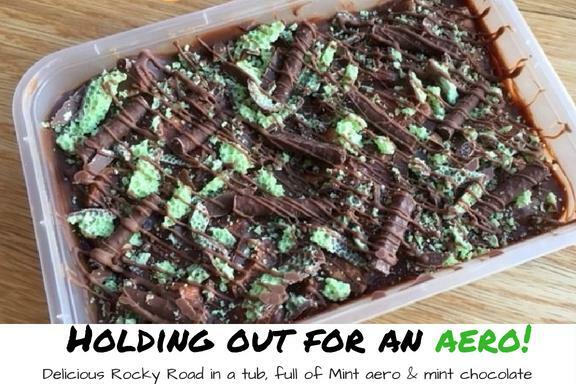 A unique Mint Rocky Road Takeaway! 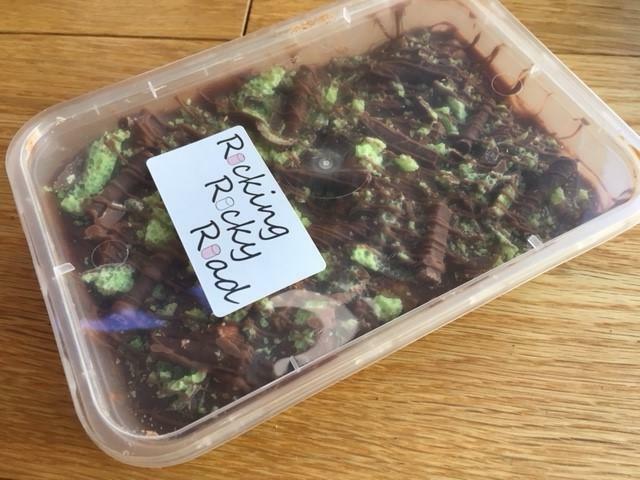 Our Mint Rocky Road Traybake is made from the finest ingredients and unlike other Rocky Road Cake, our Rocky Road contains lots of soft, gooey home-made vanilla bean marshmallows. 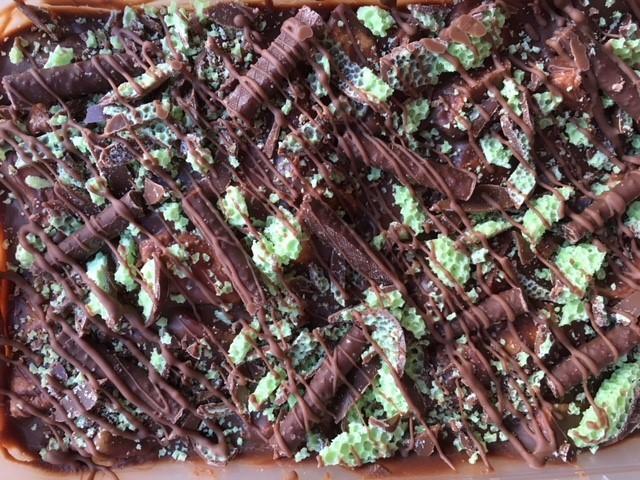 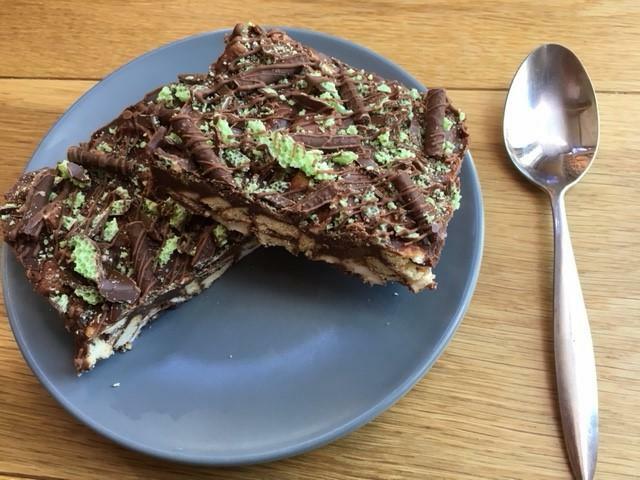 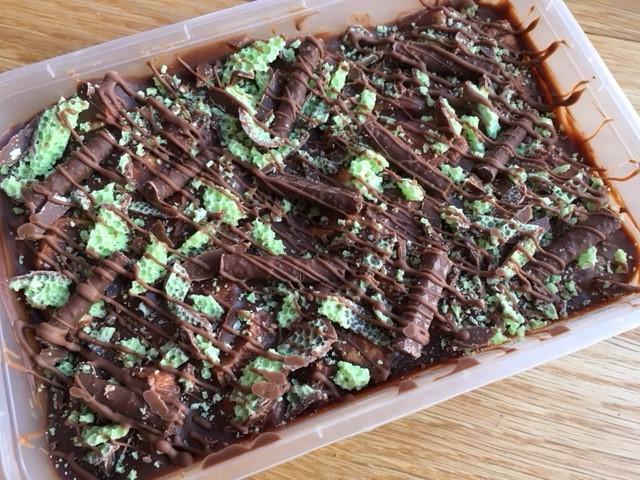 This Mint Rocky Road is made with yummy, moreish Vanilla home made marshmallows combined with lashings of chocolate, biscuits and topped with Mint Aero and Mint Matchmakers- a perfect chocolate mint treat.